AdvancedROS clinically implements the Aktina PinPoint Frameless SRS system on their Tomotherapy machine in September of 2009 and since then their patient numbers for both Cranial SRS and Head and Neck have steadily increased. 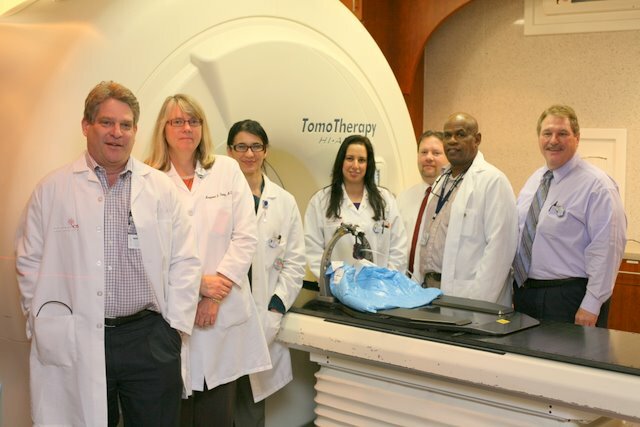 In June 2005, Advanced ROS became the first radiation center in the Northeastern U.S. and one of only 30 centers around the world to provide the TomoTherapy® HiArt treatment technique to their patients. http://www.aktina.com/news/advanced-ros-implements-pinpoint-with-tomotherapy/AdvacedROS , 25 mile north of New York City is a full service cancer treatment center providing Low and Low Dose Rate Brachyterapy, Prostate Seed Implant Therapy, Three-Dimensional Conformal Radiation Therapy and IMRT as well as TomoTherapy HiArt. Since 2005 Dr. James K Gerstley, the Radiation Oncologist and Co-Director of AdvancedROS, and his team have been seeking improved treatment accuracy for TomoTherapy based Frameless SRS over that capable with thermoplastic masks.